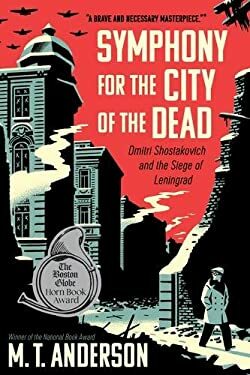 National Book Award winner M. T. Anderson delivers a brilliant and riveting account of the Siege of Leningrad and the role played by Russian composer Shostakovich and his Leningrad Symphony. In September 1941, Adolf Hitler's Wehrmacht surrounded Leningrad in what was to become one of the longest and most destructive sieges in Western historyalmost three years of bombardment and starvation that culminated in the harsh winter of 19431944. More than a million citizens perished. Survivors recall corpses littering the frozen streets, their relatives having neither the means nor the strength to bury them. Residents burned books, furniture, and floorboards to keep warm; they ate family pets andeventuallyone another to stay alive. Trapped between the Nazi invading force and the Soviet government itself was composer Dmitri Shostakovich, who would write a symphony that roused, rallied, eulogized, and commemorated his fellow citizensthe Leningrad Symphony, which came to occupy a surprising place of prominence in the eventual Allied victory. This is the true story of a city under siege: the triumph of bravery and defiance in the face of terrifying odds. It is also a look at the powerand layered meaningof music in beleaguered lives. Symphony for the City of the Dead is a masterwork thrillingly told and impeccably researched by National Book Awardwinning author M. T. Anderson. New (55 available) BRAND NEW. Over 1.5 million happy customers. 100% money-back guarantee. Make your purchase count: support Better World Books' worldwide literacy partners.